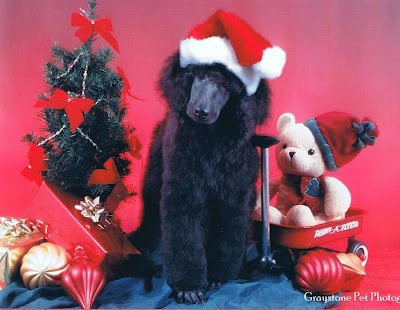 Poodle Blogger: Stop and Think a Minute....for the sake of our breed. Thank you so much for this informative article. I was never a dog person until I got my first poodle which kinda happened by chance because of my son. He was allergic to cats and dogs so no pets until my sister-in- law gave us one of her poodle puppies with the assurance that the poodle would not cause any allergies. That was way back in 1985. Since then I had two other toy poodles too, but they have also after a long and happy life crossed that rainbow bridge.To say the least they have forever changed me into a dog person. I still miss them very much. we have moved recently which makes it impossible to have another one but I still like to read about them, especially your blog. To me it is just so sad that the show circuit and breeders are not sharing information, I think that will help so much to promote the breed. 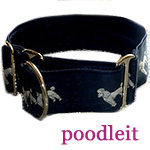 Poodles are such special animals and once you have loved a poodle it is so difficult to love another breed again. I wish you and the whole family a very festive and blessed Christmas and only the best for the New Year.